Many people are put off from casino bonuses due to having to make a deposit with their own money. There are also usually wagering requirements attached to bonuses which mean that either the initial deposit, bonus or both must be played through a number of times before the bonus and any winnings are able to be withdrawn. Despite many restrictions on casino bonuses, if you understand them, they can have value to the player and be extremely profitable. Some online casinos offer bonuses up to £1,000 and anyone who is new to casino offers is going to find making a deposit of anywhere near that amount a little daunting. However, there are ways that you can ease your way into casino offers and gain more experience in them with little to no risk. One way to do this is through no deposit casino bonuses. 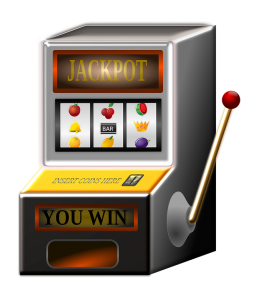 Many online casinos offer no deposit bonuses. They are generally for quite small amounts but they give you a risk-free way of making a profit as you are not risking your own cash. No deposit casino bonuses can either come as bonus money or free spins. Bonuses are simply free money which you can use for your stakes on casino games. These bonuses usually have wagering requirements of anywhere between x20 and x99. That means you must place bets totalling the bonus amount multiplied by the wagering requirement. For example, if you received a casino bonus of £10 with a wagering requirement of x40, you would need to place £400 worth of bets with your bonus before the bonus and any winnings generated from playing the bonus are turned into cash and able to be withdrawn. It’s relatively unlikely that you will make a profit from no deposit bonuses but there is always the chance that you will hit a big win and wagering the required amount will become a lot easier. Free spins are also given regularly by online casinos to players who simply register an account. They work in a similar way to bonuses in that they have wagering requirements except that you may be required to wager the winnings generated from playing your free spins a number of times rather than the bonus amount. 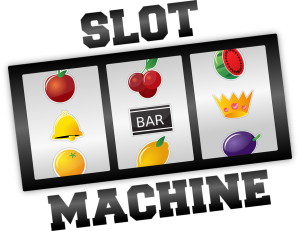 Online slots have a lot of variance and so a lot of the time you may not be able to meet the wagering requirement before you lose your bonus money but on occasion, they can pay out big amounts. If you’re considering getting into online casino bonuses, we strongly recommend that you take advantage of the many no deposit casino bonuses first. These will give you experience in playing at online casinos and how bonuses work in general. They provide a risk-free way of making a profit and you’ll have fun doing so along the way! Once you have claimed the no deposit bonuses, there are many low-risk casino offers available which should be the next step. There generally require a small deposit for a medium-sized bonus or free spins and the wagering requirements are usually a lot lower, giving you a better chance of making a profit.